Upon meeting, this community of kindred spirits quickly bonded. 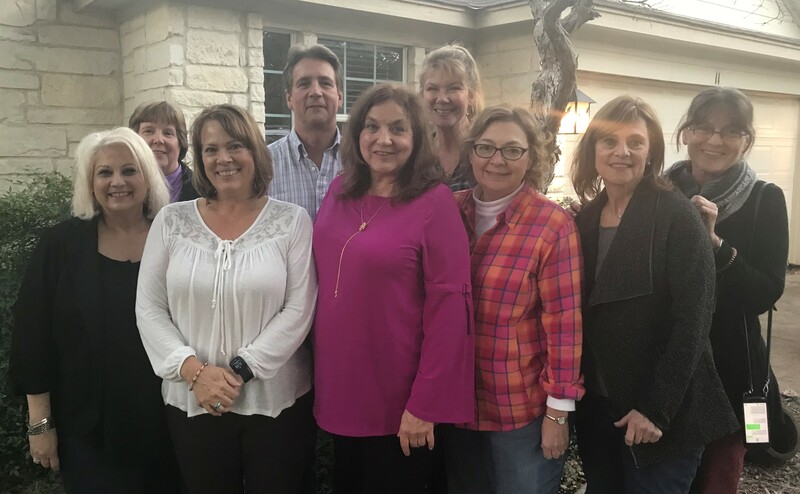 They gathered from Santa Fe, NM and the Texas cities of Dallas, San Antonio, Austin, Marble Falls, Blanco and Wimberley. Having enjoyed my Soulgoals and Conscious Creators’ programs, they came together to launch their new year at the Conscious Creators’ 2019 Blast Off! The day began with introductions by everyone sharing some of their best manifestations. It was inspiring to hear their stories and how they transformed their lives in a few months following their challenges, and some of those challenges had been considerably significant and long-term. And overall amazing successes and manifestations! Conscious manifesting begins with the recognition of one’s true Essence. 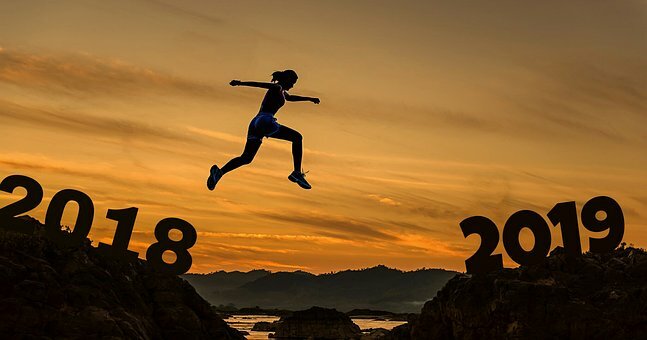 Following exercises that deepened their connections to the Source within and their Divine Blueprint, they activated their Soul-inspired awareness to design their ideal year. We ate together and laughed a lot. It was heart warming to feel the love, caring and support everyone had for each other to clarify and bring chosen goals to fruition. I started the day setting our intention on goal setting from a higher bandwidth. Entropy describes the physical world where energy dissipates, order decreases and structures disintegrate. And from this higher level of thinking and being, they designed their new year. They did this with confidence and seeing how their goals were right for them and completely doable. They aligned with their most cherished goals, not from their head or ego-driven desires, but from the inside out. May you enjoy your best year ever! It’s that time when people make resolutions for the new year… most of which they won’t keep. So let’s keep it simple AND effective. You’ll have greater success if you focus on doing what you love instead of trying to do something you think you have to do, should do, or trying to please others. When you’re ruminating about what you’d like your resolutions and life to be, may these words of wisdom guide you… and be sure to include fun and doing what you love. May you enjoy a happy, healthy and prosperous New Year! Decide that this is your year! Do What You Love Break-Free Session. 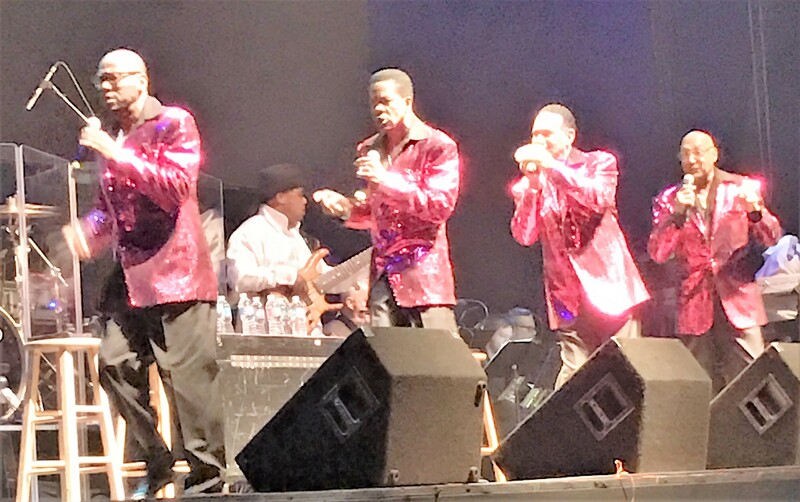 TIP: The Four Tops and The Temptations – Wow! Both groups played full out, giving their all. The magic took off at another level when the Four Tops came on stage: “Feel it. Feel it.” And we did. Abdul Fakir, the only original of the Four Tops who’s still with us, turns 81 on December 26! No way he looked or acted that on stage!! He’s on the far right of the photo. Roquel, the son of Lawrence Payton who was one of the original Four Tops, has got the moves! He’s on the far left. Abdul talked about the joy, celebration and positive energy of members of the Four Tops who’ve passed. Their energy lives on. For their encore, we were all on our feet shouting along with “I Can’t Help Myself” (Sugar Pie, Honey Bunch). Hearing the old songs and seeing the dancing brought us back in a time machine. Everyone had memories. My earlier life flashbacks during the back to back performances, and set up time in between, nudged me into a mini life review. That’s where I was when their music played. I went through being an adult. Now I’m here. When you look back at your life, what do you see? No matter what you’ve done or haven’t done, here you are now. There are ups and downs (by the way, everyone has them not just you), but they change. One time you’re surrounded by those people, another time you’re not. Your livelihood and circumstances altered. When you look back, you can see everything that didn’t work, who done you wrong, your mistakes and unfulfilled dreams. You can see another timeline, too – who you helped and helped you, what you learned, who you became along the way and visions for your future. No matter what perspective you choose, you cannot fail at life. There are no angels with clipboards keeping a tally of judgment on you. That’s a human invention. You are divinely loved and accepted for who you are – a brave Soul who showed up on this planet, learning and growing. Just like a baby isn’t judged for falling while learning to walk, neither are you while you’re learning. While freeing yourself from self-judgment, consider this. Think about a time in your life, let’s say ten or twenty years ago. What you experienced felt like your never-ending world. Then it passed or morphed into something different. Now you’re here in this now. What you think, feel and envision now are creating what’s to come. How clear is your vision because it’s your blueprint for your life and business that’s yet to come? Your TIP is to create your life or business to be Wow! Care enough about yourself to be happy and do what you love instead of what you think the world expects of you. One way you can do this is to honor yourself and your feelings. What are they guiding you to do? If you feel unhappy, unfulfilled, unhealthy or your business or finances are bringing you down (not enough time, money, feeling good about you – or can’t get no satisfaction), that’s called a clue! It’s time for a change – do something differently! Your past is behind you. In the now, are you being kind to yourself? Are you doing what you love? Is your business or life what you choose? If it isn’t, in Star Trek lingo, are you on a trajectory to “make it so, Number One”? Your happiness, health and finances depend on it. Regardless of your answer, you can make new decisions. You’re still breathing, so it’s not too late to change your viewpoint, make new choices and do what you love. Regardless of your age or circumstances, you have more than enough time to have your life and business be a series of Wows! Virginia works with people who long to share their gifts or business in a BIGGER way but don’t know how or feel stuck. She helps them ignite their Soul’s goals and be richly compensated doing what they love. Copyright © 2016 Resolved for Results, All rights reserved. A few days ago, Raise Your Bar in 2016 was the theme for a mastermind group I facilitated. Having only thought about this word at Christmas, I asked what she meant. She texted a Merriam-Webster definition. Exalt: to raise (someone or something) to a higher level; to praise (someone or something) highly; to present (something) in a way that is very favorable or too favorable. you (finally) achieve results in your business and life for which you’ve longed. A large part of her feeling elevated came from the mastermind energy. To explain what I mean, here’s an excerpt from the manual of my program Resolved for Results: A Step-by-Step Guide to Live Your Dreams… even if you failed before, lost hope, are afraid, stressed or confused. You can get results working alone. However, when you tap into a vortex of positive energy when two or more are gathered together in harmony and intentional purpose, miracles and successes blossom like spring flowers. Would you enjoy an exalted business and life? Answer these questions to put you on a trajectory of success. Writing by hand versus just thinking about the answers allows for more insights and ideas to emerge. 1. What would raising your bar for your business and life in 2016 look like? 2. What would have to occur to allow this? 3. What do you need to release for this to happen? Schedule your actionable ideas on your calendar. Set an intention to implement them. Find positive partners or a team to discuss your answers, provide weekly support for you to be accountable and encourage you to either stay on track or course correct, if necessary. Let go of what’s holding you back using any release techniques that have worked for you. Believe that life is working in your favor… because it is! When you’re aligned inside and out, your body, thoughts and feelings are strengthened and balanced for you to live the life of your dreams… and your confidence goes through the roof. Combining Pilates and Do What You Love coaching, you will activate your core support, in body, spirit and daily life, to awaken your natural intelligence. When your core is alive, your posture improves – in how you move your body and find your groove – so you live a passion-filled life. Energized by the synergy of Lindsey and Virginia, you will come away with breakthrough insights and practical actions to live true to you. Release tension in body and mind as you dump physical and emotional stress. Create a foundation for effective movement and flexibility to help you move through your life with ease. Find your groove and design a passion-filled life that YOU create where you’re richly compensated doing what you love. Learn a simple tool to transform any confusion and worry into clarity, inspiration and action. Enjoy freedom by getting unstuck – physically, emotionally and mentally. Discover the #1 obstacle holding back your success and an easy technique to stop it. Experience the power of masterminding and how to access it to manifest your goals and dreams beyond your wildest expectations. Reveal how support can help you achieve your goals faster and easier than trying to do everything on your own. Your investment to live the life you were born to enjoy is $150. Space is limited. Friends and family are welcome! Call Lindsey now to register at (512)921-2921.
Who Are Lindsey and Virginia? 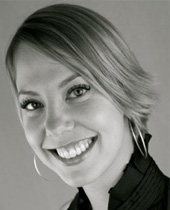 Lindsey Brannan was introduced to Pilates in 1998 while studying at the School of Nashville Ballet. Two years later, an injury ended her dance career, and Pilates took on a new purpose – to build strength and heal her own body. 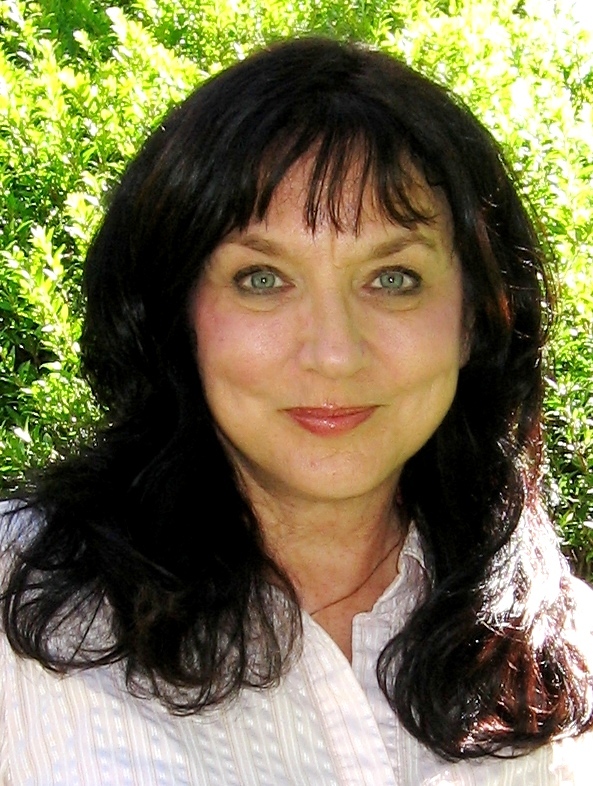 Having received multiple certifications in Pilates, she now helps others to live pain-free. Virginia Goszewska (go-SHEF-ska) suffered from poor health, finances, marriage, career and everything else that could cause frustration. Since 1992, following decades in international businesses and non-profits as well as her discoveries of how to enjoy a fulfilling life and business, she now helps people to share their gifts, but don’t know how or feel stuck, while being richly compensated doing what they love. It takes courage to see through intimidation. There’s a real danger that Yemen will fall to al-Qaida, and their President Saleh uses this to try and control people through fear. The people’s choice: repressive regime or the bogeyman? In spite of this potential terror, there are those who no longer are willing to be repressed. And they don’t believe these are the only choices. It reminds me of the empty warning, “no one will ever love you like I do.” Settle for less or be left with something worse or nothing. Are you afraid of living your dream? What if you try and don’t succeed? What-if-the-worse-happens is a tune that plays like a broken record on the shadowy grooves of fear. What what-if influences you not to live your dreams? What are the odds it will happen? You’re not born with fear. You learned it. Controlling others through trying to shut them up doesn’t just happen on the other side of the world. We do it to ourselves. We’re all bullied by limiting perspectives and illusions that we believe are true. For example, do you avoid any of these? Confrontation – so you steer clear of people and situations? Contacting someone and being rejected – so you procrastinate? Telling the truth – so you tell little lies as a cover up? Taking action to live your dream – so you settle for existing rather than living? Avoidance is another way you terrorize yourself. It’s a way of shutting you up and shutting you down from really living by keeping you in your place. It’s time to speak up and be heard. LISTEN to your heart and soul. If you want others to listen to you, start by listening to yourself! Breathe deeply in a relaxed way. Write what your life is like right now. Ask your soul for clear communication. What steps can you take to align your ideal and what is? Take consistent action – even if it’s one small step at a time. Choose to make changes gently, with grace and ease. The answers may differ from what you now think. At first they may not make sense. You may glimpse a piece rather than the whole puzzle. You may see an image rather than words. Don’t judge them. You’re opening communication and learning your language. If you’re not sure what the answers mean, ask again. Ask your soul to speak up: LOUDLY so you can hear; CLEARLY so you understand without a shadow of a doubt. The time to be afraid of the bogeyman is gone. A rose proudly shares its beauty, even though its life is short. 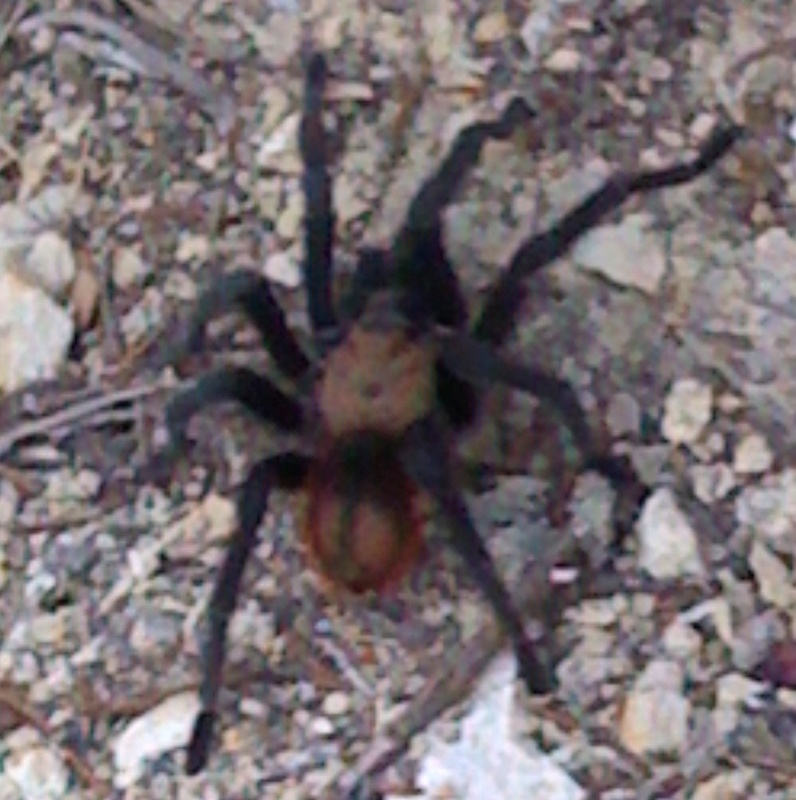 A tarantula boldly lives its life for what it is – a tarantula. It’s time to live your life to the fullest. Empower yourself by asking your soul to speak up – and listen. Have you noticed people’s buttons getting pushed lately? Some respond with anger, frustration or depression. Others find that finger pointing, denial and avoidance are easier than talking things through. Opportunities abound to deal with issues, but some prefer to ignore the elephant in the room. It would take more than new glasses to correct that vision. Changing perspective helps: step back emotionally and observe in a detached way. This reminds you not to take it personally. But what should you do about it? Ask yourself: Is there something to get out of it, something to learn? Or is the point to get out of it and leave? And what’s the best action to take? This depends on the circumstances. But driving yourself bonkers and making yourself wrong only leads to a dead-end street. A lovely woman sent me a very ugly email. She wrote about demonic forces and people we once knew. She couldn’t be friends with me anymore because I was still associated with them, even though I wasn’t for years. Weeks later she apologized. Because of past injustices inflicted on her by this group, her deep pain was triggered. She obviously wasn’t herself when she wrote it. The point? I got out of it lessons of compassion; forgiveness; grace; and not judging as people make mistakes. The action? Let go of the past and move on. We renewed our friendship. A few months later she sent another email explaining how she couldn’t be my friend because of my involvement with these same people. The point? Get out of it. When people create too much drama and repeat patterns that they’re not shifting, it’s often best to step back. The action? Don’t respond. Bless the situation and relationship and let them go. Here are tips on what you can do when buttons are pushed. Oh well, I can honestly say I’ve learned each one by doing the opposite. Step back emotionally and observe rather than become enmeshed with the story. Listen to what’s being expressed and understand their perspective. Let go of a need to be heard, validated and to express your viewpoint. Ask yourself that even if you don’t like it: Why is it essential that others should think the way you think they should? Tune in to your gut – what do you feel is true and the best action to take? “Forgive them for they know not what they do.” Then take action. Warning: using these tips will not give you the emotional exhilaration received from feeling right; trying to fix or rescue people; feeling victimized; having your ego stroked; expressing anger; trying to control; or the comfort of familiarity from reliving your sad story. Bring you better results in the long run. My cousin just called. “Be sure to tell people that everyone needs some silly in their lives and that laughter is the best medicine.” Thanks, Sharon, for the best ideas. Don’t take things too seriously. It’s all good.